The interactive child-resistant construction of this pirate ship incorporates reclaimed, recycled, and re-purposed materials. The ship includes a crow's nest, a main deck, captains quarters, a gangplank, the forecastle, a pirate dressing room, and a dungeon. The lower level is also wheelchair accessible via the draw bridge. 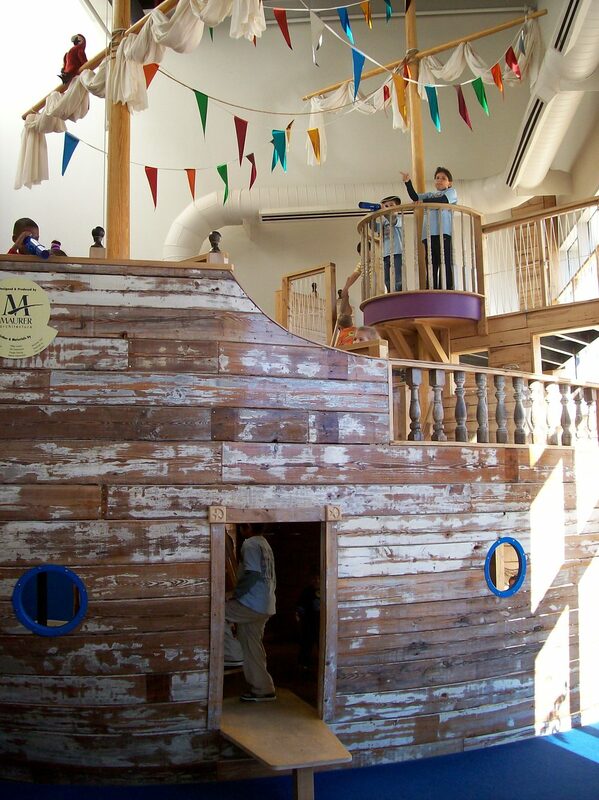 Maurer Architecture donated the design for the pirate ship and oversaw construction. We completed these two, separate Playspace buildings prior to the merge of both spaces, into what is now Marbles Kids Museum. These two spaces were designed as an interactive children's learning and play environment.